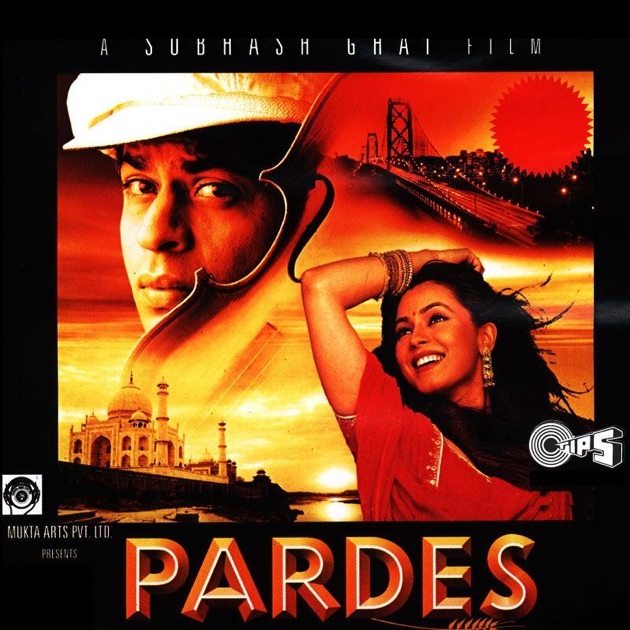 Pardes is a 1997 Indian Hindi-language musical drama film directed by Subhash Ghai. It was released on 8 August 1997. The film stars Shahrukh Khan, Amrish Puri, Alok Nath, and newcomers Mahima Chaudhry and Apurva Agnihotri. Kishorilal wants an Indian bride for his westernized son. He gets him engaged to Ganga, his friend’s daughter, and brings her to USA. But she shares a deeper bond with Arjun, Kishorilal’s foster son. The film was a commercial, critical and musical hit. Mahima Chaudary won the Best Newcomer Award for her performance. The film was remade in Telugu as Pelli Kanuka. Shah Rukh Khan as an icon of romance can be experienced in this movie. His helplessness as he falls in love with his boss’s fiance, the hurt he goes through when he can see the love of his life being treated terribly, and the anguish because he cannot do anything about it are the quintessential SRK moments that we witness in this journey. Yeh Dil Deewana is a song which we all have hummed tirelessly to help us get over our heart breaks. When he sings Meri Mehbooba, we just want the girl to leave everything and come running to SRK’s arms. His eyes overflow with love and anguish. He is helpless due to the situation, but so much in love. He is the loyal friend burdened under the huge debt of the family adopting him. And he is even ready to let go off his love in order to repay this debt. But when he finds that his love needs him to stand up for her, he is willing to stand up for what is right. That is the quintessential SRK romance that makes us fall in love with love. No wonder he has spoilt romance for an entire generation.